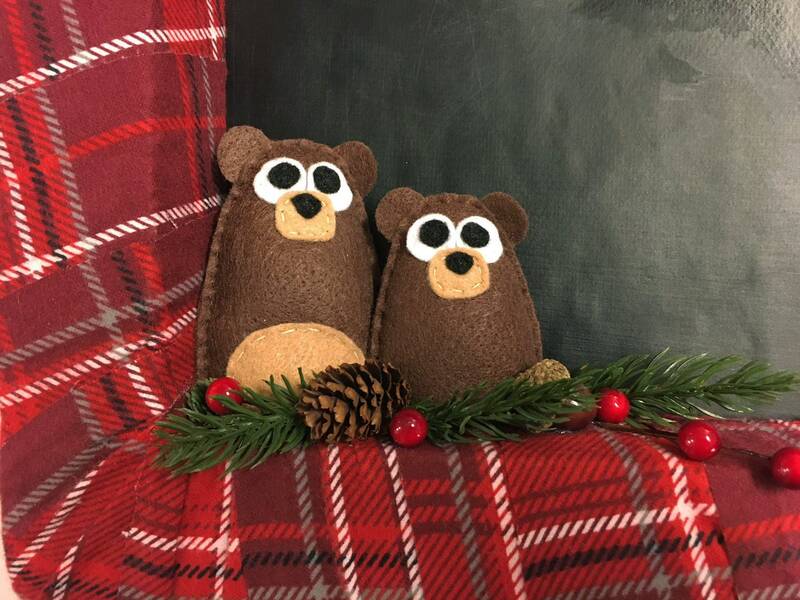 Nester and Willis the bears are nestled sweetly in the crook of a flannel plaid covered rectangle wreath. The background is reinforced chalkboard fabric so you can personalize your wreath as a countdown to a special date or a welcome sign! The wreath has a 17" x 12" base. Included in the decorations are Nester and Willis made from felt and festively plumped as well as faux foliage, baubles, and a pinecone. It hangs from a wired twine attached to the back of the wreath. All of my wreaths are perfect for hanging on your door to welcome visitors! There are many other uses though. Wreaths can be hung single or in groupings inside for home decor. It can be propped on a mantle and the centerpiece of your decorations there or a beautiful addition to a book nook! Please note that these are not all-weather wreaths. It is strongly recommended that wreaths not be directly exposed to inclement weather. 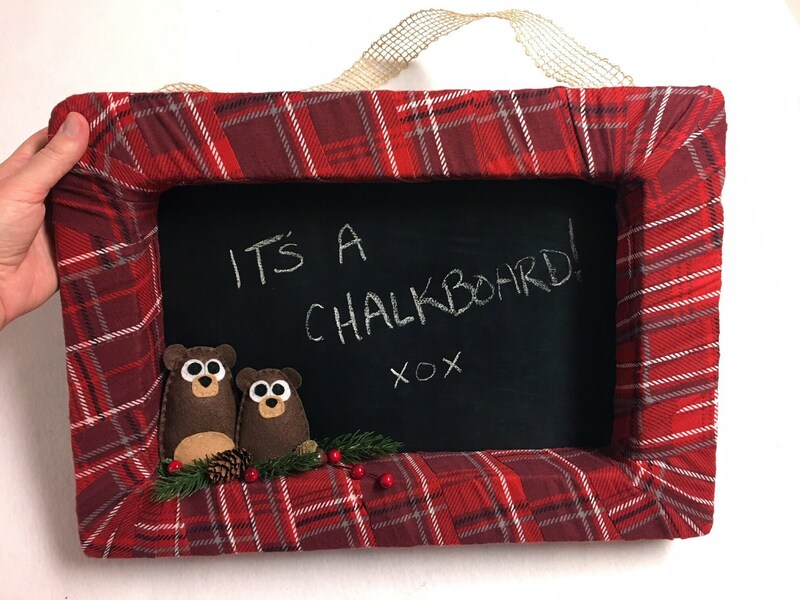 Important to please Note: The Chalkboard fabric has been prepped with rubbing chalk on the surface so it is ready for your favorite sayings. It is not solid black due to being already prepped. 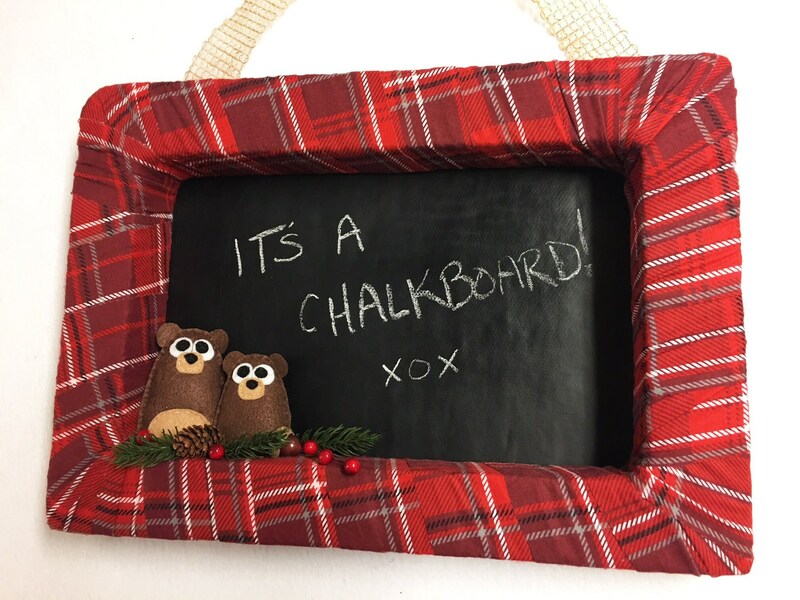 (you can see some of the white chalk on it in the photos) This chalkboard fabric only works for regular chalk and chalk markers. Do not use sidewalk chalk - it will mark the fabric. To erase your writing use a slightly damp cloth. 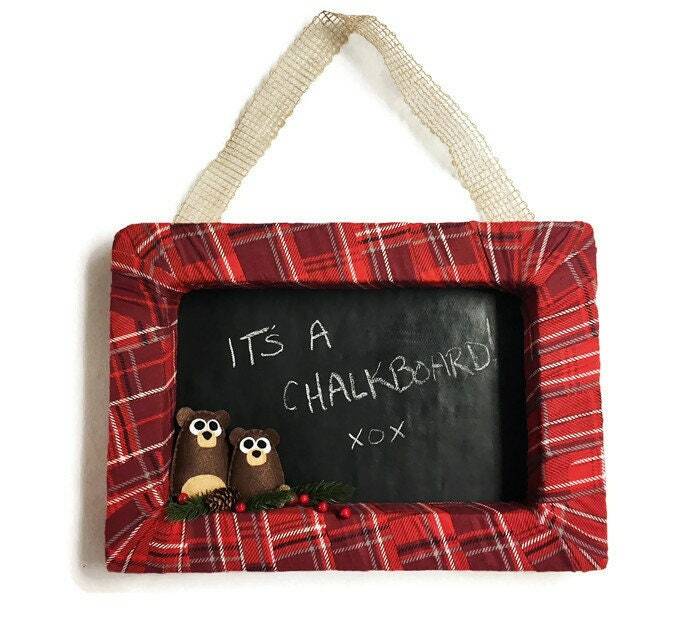 It is recommended to lay the wreath on a flat surface to write on the chalkboard fabric.